In 1911 P.T. McGrath wrote of the Reid Newfoundland Company that it was "the biggest paymaster in the Island, bigger even than the government." 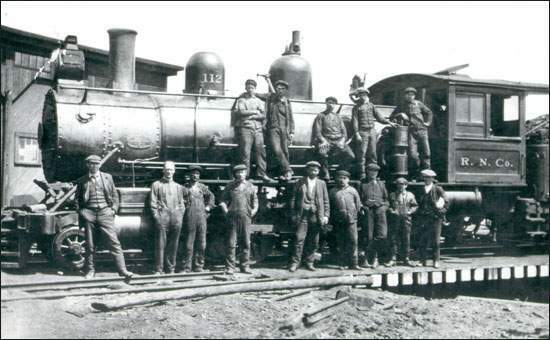 Upon completion of the main line in 1898, the history of the railway in Newfoundland entered a quarter century that was arguably its period of highest drama and highest stakes, the era of the Reid Newfoundland Company. It was a time when the high-flung dreams of the pioneering era were met by cold reality. The railway was operated by a private company, yet remained at the centre of public policy and political controversy, of competing visions of the future of Newfoundland. This era began with one issue of great controversy and moment, the Railway Contract of '98, and ended in another with the Humber Deal, and the Railway Settlement Act of 1923. 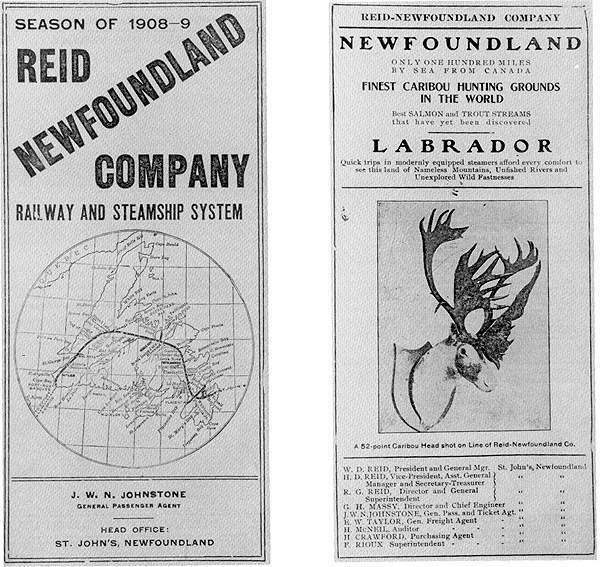 The Reid Newfoundland Company created a lot of controversy throughout the early 1900s. Reproduced by permission of Mont Lingard. From the Collection of Mike Shufelt, Next Stop: Gaff Topsail (Grand Falls-Windsor, Newfoundland: Mont Lingard Publishing, Mont Lingard and Mike Shufelt, ©1996) 63. In 1897 the government eagerly anticipated development, both in the interior and on the west coast (as soon as the French Shore question was settled). The Reid family, meanwhile, was anxious to build on their success in constructing the line to proceed with developing the extensive land holdings acquired under the operating contract of 1893. With construction substantially completed in 1897, the Whiteway government faced the prospect of 2000 railway labourers being thrown out of work on the eve of a general election. Thus R.G. Reid was contracted to construct three branch lines - from Clarke's Beach to Tilton, from Harbour Grace to Carbonear and from Notre Dame Junction to Lewisporte. In addition, enabling legislation was passed to allow consolidation of the various railway lines under Reid. But Whiteway was defeated, and a new government led by Sir James S. Winter and Finance Minister A.B. Morine began to negotiate the consolidation contract. What emerged from these negotiations was an astonishing new vision, reflecting the desire of Reid's sons to commit themselves and the family fortune to developing Newfoundland, and the government's desire to transfer the "railway question" to private hands. The railway contract of 1898 gave the Reids astonishing influence. They were to operate the railway for 50 years and then own it outright, acquire further lands (to a cumulative total in excess of four million acres), purchase the St. John's drydock, operate eight coastal steamers at an annual subsidy, operate the government telegraph for 50 years, develop the first hydro-electric power in the country, establish a streetcar system in St. John's, and build a new headquarters and terminal in the west end of St. John's - a permanent and substantial presence in the capital after years of struggle in the bush. Initially the '98 contract met with some acclaim. However, Governor Sir H.H. Murray felt the Reids were in a position dangerously close to monopoly, and refused to sign the enabling legislation until directed to do so by the British Colonial Office. The political opposition began to prick up its ears, particularly after it was learned that Morine had been on retainer to R.G. Reid during the contract negotiations. Popular opposition mounted when some blanket land grants to the Reids infringed on local property rights. 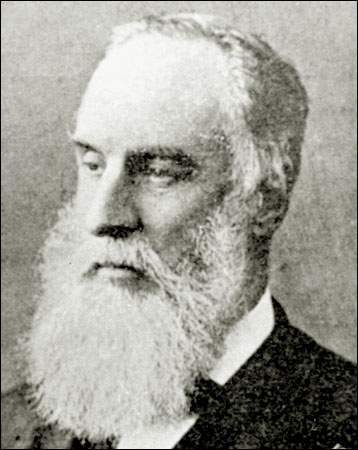 Sir Herbert Harley Murray (1829-1904), n.d. Governor of Newfoundland from 1895-1898. He was critical of the '98 contract that sold the Newfoundland railway to R.G. Reid and refused to sign the enabling legislation until directed to do so by the British Colonial Office. Courtesy of The Rooms Provincial Archives Division (VA27-52), St. John's, NL. Morine was forced to resign from the government and in 1900 accompanied R.G. Reid to London, where they attempted to raise development capital. On arrival there, they found that the Winter government had fallen, to be replaced by a government led by Liberal leader Robert Bond. Further, potential backers stressed the need for the contract to be assigned to a limited liability company (the contract having been concluded between the government and R.G. Reid personally). Bond demanded modification of the '98 contract in return for consenting to assignment. After holding and winning an election on the issue, Bond negotiated a modified contract with Reid, in August 1901, and the Reid Newfoundland Company was incorporated. The first fruits of the railway as a "development road" came in the sawmilling industry, as access to the interior led to new mills at Terra Nova, Benton (owned by Reid) and Norris Arm. In 1898 R.G. Reid had piqued the interest of Lewis Miller, a Scottish lumberman with substantial interests in Scandinavia, in central Newfoundland pine. The new mills at Millertown and Glenwood proved to be a disappointment - and by 1903 Miller had sold his timber rights to a consortium that included W.D. Reid and Harry Crowe, Newfoundland Timber Estates Ltd. Meanwhile, it seemed that the interior development strategy would begin to bear more substantial fruit, in terms of a pulp and paper industry. The British publishers of the Daily Mail, the Harmsworths, were interested in either Grand Lake or the Exploits River for the new industry, settling on central Newfoundland because of the uncertain status of the French Shore and Reid interest in developing Grand Lake. In 1905 the Harmsworths had settled on Grand Falls as a site for their mill and reached agreement with Newfoundland Timber Estates, the Reid Newfoundland Company and other timber license holders to obtain the necessary timber rights. W.D. Reid had reached the conclusion that the Bond government was an insurmountable obstacle to Reid interests. In 1903 the Reids had approached the government with a proposal to build three branch lines and a pulp mill at Grand Lake, which was declined. As in 1900, the 1904 general election saw the power of the Reids lined up against Bond, supporting the comically mis-named United Opposition Party. This strategy once again had the predictable result of a Bond victory, after which R.G. Reid offered to sell the railway and steamships to the government. When Bond declined, the Reids began encouraging the political ambitions of a member of the Bond government, Edward P. Morris. After a tie election in 1908, Morris and his People's party won election in 1909, backing from the Reid Newfoundland Company being expressed less blatantly than in 1900 and 1904. The Reids were rewarded by being awarded contracts to build five new branch lines - from Clarenville to Bonavista, from Broad Cove to Heart's Content and Grate's Cove, from Goobies to Fortune Bay, from Deer Lake to Bonne Bay and from St. John's to Trepassey. Profits from construction of the branches covered the railway's annual operating losses and plans for development based on Grand Lake and the Humber River system again moved to the fore. Reid Newfoundland Company Employees, n.d. The outbreak of war in 1914 might have boded well for the railway in Newfoundland's overall development strategy. Traffic increased amid general prosperity and wartime demand for forestry products. Yet operationally the War was the beginning of the end for the Reids' railway. Needed upgrading and maintenance were postponed as the price of materials and labour increased. Further, the War saw the suspension of profitable branch line construction. William Reid once again tried to encourage confederation with Canada and the purchase of the line by Canadian National, but the idea found little favour at a time when fish prices and patriotism both ran high. William Reid became unstable, and in December of 1917 was removed from the presidency by his brother Harry, in dramatic fashion. Harry Reid further reduced expenditures, as the line and morale both deteriorated during an overall post-War slump. H.D. continued political negotiations to divest the Reid Newfoundland Company of the railway operating contract, while once again pushing the much-desired development of the Humber and Grand Lake properties, which had also been on hold since the beginning of the War. The Reid era in operating the Newfoundland railway was marked by mounting losses and frustrated efforts to develop the Reid lands. It drew to its conclusion with the Reids mounting one more political offensive to withdraw from railway operations and focus on the lands acquired through various construction contracts. The dire economic straights in which Newfoundland found itself post-war increased the government's sense of urgency that development be realized, until it eventually matched the Reid agenda in the Railway Settlement Act of 1923.